Lyth Hill provides one of the best viewpoints from which to survery the geology of Shropshire. The view from the co-ordinates was 550 million years in the making. 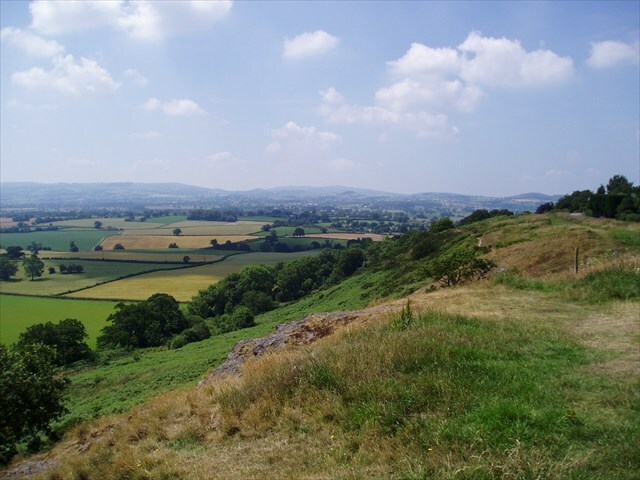 The main virtue of Lyth Hill is the panoramic view it affords across the South Shropshire hills. This illustrates the evolution of the solid rock deposits from the oldest Precambrian volcanics 600 million years ago, through the period when Shropshire was on a shore line (Cambrian, Ordovician and Silurian), and on to the more continental periods of the Devonian and Carboniferous. This variety of rock types gives rise to the varied landscape aid out before you. From here you can see the coral reefs of Wenlock Edge and the whaleback profile of the Wrekin. To the right you see the smooth ridges of the Stretton Hills, whose pointed profiles are in contrast to the flattenend bulk of the Long Mynd. Each one from a different geological era. 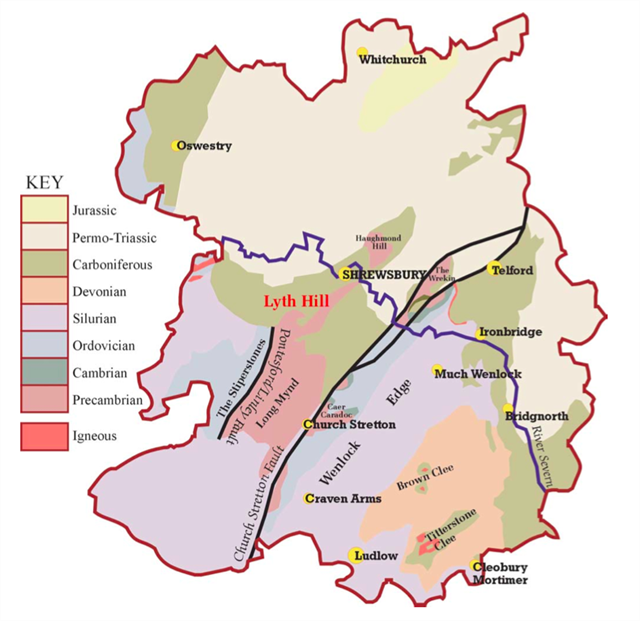 Lyth Hill is arguably the very best place from which to appreciate this range of geological history. The panorama is too wide for one photograph to capture it all and the view can only really be appreciated in person. At the co-ordinates, which take you to the corner of the car park, you will find an interpretation panel, which gives you information about the hills you see before you. To log this cache, you will need to complete the tasks below. Please email us with the info (rather than post it on your log). Our email address is on our profile page. You can log a find once we have been sent an email. We may delete your log if your answer is way off the mark. NEAR the interpretation panel, you will see some outcrops of conglomerate. Describe its appearance. The volcanic hills you can see from here have dramatic steeps slopes, usually with exposed summits. Identify two of them and using the interpretation panel, give their names. As an optional extra, post a picture on your log of yourself and / or your GPSr by the interpretation panel (toposcope) with the 550 million year view in the background.